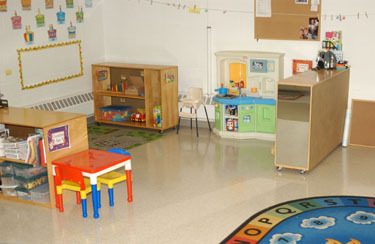 Our program is designed to meet the developmental needs of children ages 2-5 years. Our program will help prepare children for Kindergarten both socially and academically; and equally important, we will provide a spiritual foundation to prepare them for life. Each child will develop a sense of security and independence away from his or her home environment. Help each child make friends and learn to treat others the way that he or she would like to be treated. Each child will feel loved and accepted. Promote a positive attitude towards school—that learning is fun! We respect parents as the primary and most important provider of care and nurturing for their child. Together, parents and teachers can work as partners in the child’s care and education. Child must be 2 years of age upon starting the session. 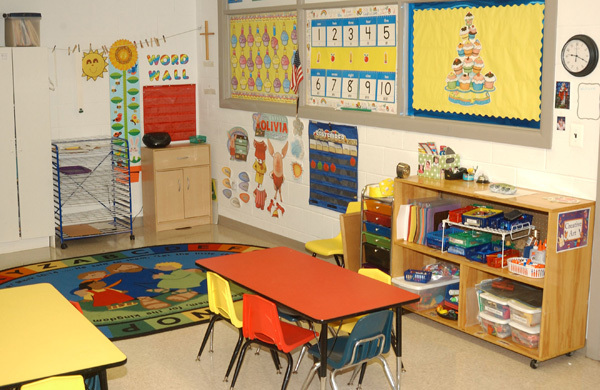 The parent/caregiver stays with the child to introduce them to a classroom environment. It is a small class size of 8 children, with activities and stories that are developmentally appropriate for two year olds.There is no registration fee. May join in class at anytime. Tuition will be adjusted. Your child should be toilet-trained, or in the process. (Pull-Ups only). Our program for 3 yr. olds focuses on socialization skills. Learning the classroom routine, sharing, making friends, cleaning-up after themselves and becoming more independent are important goals. Academically we will discuss the alphabet, colors, shapes and numbers. TUITION - $165.00 PER MONTH. $10.00 late fee for tuition received after the 10th of the month. 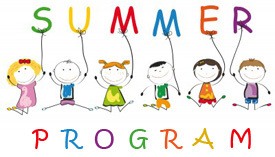 4 YEAR OLD PROGRAM (Child must be 4 by December 1 of the school year). 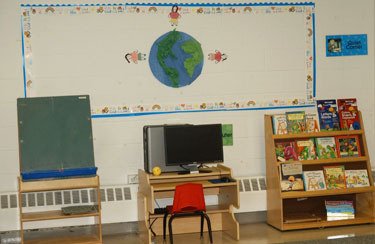 Our program for 4 yr. olds helps prepare your child for Kindergarten. The children will review the alphabet, colors, shapes, numbers and be introduced to writing their name, alphabet and numbers. The children will also learn pertinent information such as their address and telephone number. Tuition payment is due the 1st of each month. $10.00 late fee for tuition received after the 10th of the month. This program is for children who just miss the Dec.1 cut-off for public school kindergarten, or for those children who are not quite ready for Kindergarten. 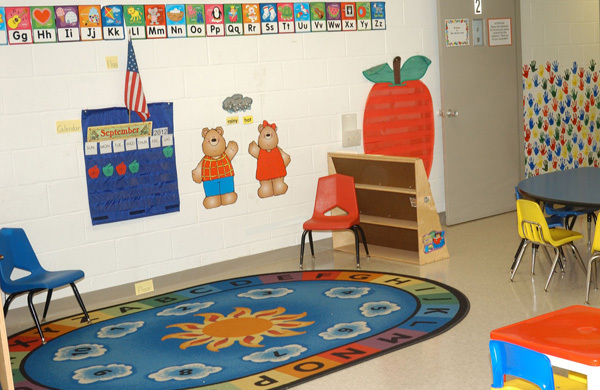 Our program emphasizes Kindergarten readiness skills such as writing, counting, sorting, sequencing, etc, both individually as well as in a small group. 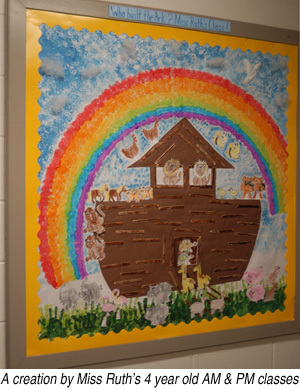 Christian themes will be incorporated throughout the curriculum. For children entering a 4 year old program or Kindergarten in September.